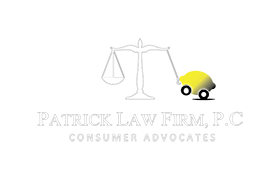 Mississippi Lemon Law Mississippi Lemon Law – Patrick Law Firm, P.C. Sections 63-17-151 et seq. shall be known and may be cited as the “Motor Vehicle Warranty Enforcement Act”. SEC. 63-17-153: Legislative findings and declaration of purpose. “Collateral charges” means those additional charges to a consumer which are not directly attributable to the manufacturer’s suggested retail price label for the motor vehicle. For the purposes of Sections 63-17-151 et seq. collateral charges shall include, but not be limited to, dealer preparation charges, undercoating charges, transportation charges, towing charges, replacement car rental costs and title charges. “Comparable motor vehicle” means an identical or reasonably equivalent motor vehicle. “Consumer” means the purchaser, other than for purposes of resale, of a motor vehicle, primarily used for personal, family, or household purposes, and any person to whom such motor vehicle is transferred for the same purposes during the duration of an express warranty applicable to such motor vehicle, and any other person entitled by the terms of such warranty to enforce the obligations of the warranty. “Express warranty” means any written affirmation of fact or promise made in connection with the sale of a motor vehicle by a supplier to a consumer which relates to the nature of the material or workmanship and affirms or promises that such material or workmanship is defect-free or will meet a specified level of performance over a specified period of time. For the purposes of Sections 63-17-151 et seq. express warranties do not include implied warranties. “Manufacturer” means a manufacturer or distributor as defined in Section 63-17-55. “Motor vehicle” means a vehicle propelled by power other than muscular power which is sold in this state, is operated over the public streets and highways of this state and is used as a means of transporting persons or property, but shall not include vehicles run only upon tracks, off-road vehicles, motorcycles, mopeds, or parts and components of a motor home which were added on and/or assembled by the manufacturer of the motor home. “Motor vehicle” shall include demonstrators or lease-purchase vehicles as long as a manufacturer’s warranty was issued as a condition of sale. “Purchase price” means the price which the consumer paid to the manufacturer to purchase the motor vehicle in a cash sale or, if the motor vehicle is purchased in a retail installment transaction, the cash sale price as defined in Section 63-19-3. If the manufacturer or its agent cannot conform the motor vehicle to any applicable express warranty by repairing or correcting any default or condition which impairs the use, market value, or safety of the motor vehicle to the consumer after a reasonable number of attempts, the manufacturer shall give the consumer the option of having the manufacturer either replace the motor vehicle with a comparable motor vehicle acceptable to the consumer, or take title of the vehicle from the consumer and refund to the consumer the full purchase price, including all reasonably incurred collateral charges, less a reasonable allowance for the consumer’s use of the vehicle. The subtraction of a reasonable allowance for use shall apply when either a replacement or refund of the motor vehicle occurs. A reasonable allowance for use shall be that sum of money arrived at by multiplying the number of miles the motor vehicle has been driven by the consumer by Twenty Cents (20cents) per mile. Refunds shall be made to the consumer and lienholder of record, if any, as their interests may appear. 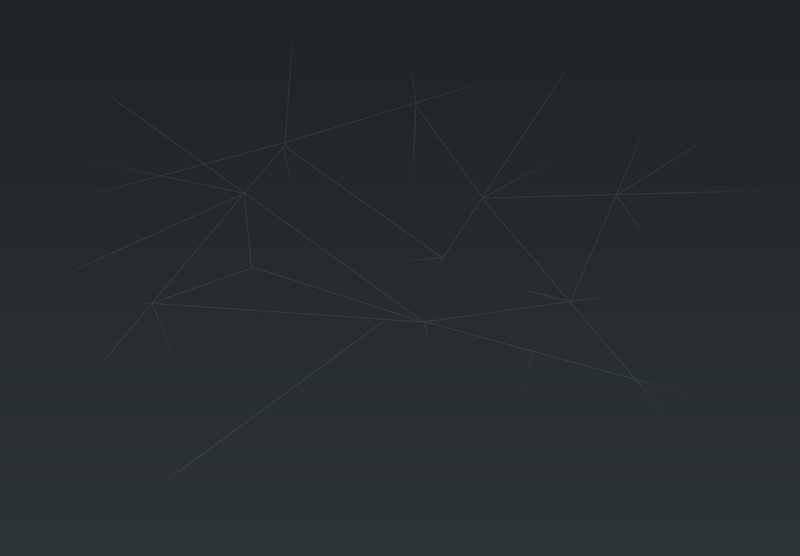 The vehicle is out of service by reason of repair of the nonconformity by the manufacturer or its agent for a cumulative total of fifteen (15) or more working days, exclusive of downtime for routine maintenance as prescribed by the owner’s manual, since the delivery of the vehicle to the consumer. The fifteen-day period may be extended by any period of time during which repair services are not available to the consumer because of conditions beyond the control of the manufacturer or its agent. The terms, conditions or limitations of the express warranty, or the period of one (1) year following the date of original delivery of the motor vehicle to a consumer, whichever expires earlier, may be extended if the motor vehicle warranty problem has been reported but has not been repaired by the manufacturer or its agent by the expiration of the applicable time period. The manufacturer shall provide a list of the manufacturer’s zone or regional service office addresses in the owner’s manual provided with the motor vehicle. It shall be the responsibility of the consumer or his representative, prior to availing himself of the provisions of this section, to give written notification to the manufacturer of the need for the repair of the nonconformity, in order to allow the manufacturer an opportunity to cure the alleged defect. The manufacturer shall immediately notify the consumer of a reasonably accessible repair facility to conform the vehicle to the express warranty. After delivery of the vehicle to the designated repair facility by the consumer, the manufacturer shall have ten (10) working days to conform the motor vehicle to the express warranty. Upon notification from the consumer that the vehicle has not been conformed to the express warranty, the manufacturer shall inform the consumer if an informal dispute settlement procedure has been established by the manufacturer in accordance with Section 63-17-163, and provide the consumer with a copy of the provisions of Sections 63-17-151 et seq. However, if prior notice by the manufacturer of an informal dispute settlement procedure has been given, no further notice is required. If the manufacturer fails to notify the consumer of the availability of this informal dispute settlement procedure, the requirements of Section 63-17-163 shall not apply. Any action brought under Sections 63-17-151 et seq. shall be commenced within one (1) year following expiration of the terms, conditions or limitations of the express warranty, or within eighteen (18) months following the date of original delivery of the motor vehicle to a consumer, whichever is earlier, or, if a consumer resorts to an informal dispute settlement procedure as provided in Sections 63-17-151 et seq., within ninety (90) days following the final action of the panel. If a consumer finally prevails in any action brought under Sections 63-17-151 et seq., the court may allow him to recover as part of the judgment a sum equal to the aggregate amount of costs and expenses, including attorney’s fees based on actual time expended, determined by the court to have been reasonably incurred by the plaintiff for or in connection with the commencement and prosecution of such action. The tender provisions of the Uniform Commercial Code contained in Section 2-601 provide that the buyer is entitled to reject any goods that fail in any respect to conform to the contract. Unfortunately, new cars are often technically complex and their innermost workings are beyond the understanding of the average new car buyer. The buyer, therefore, does not know whether the goods are then conforming. The new car buyer accepts the goods believing and expecting that the manufacturer will repair any problem he has with the goods under the warranty. The new car buyer may discover a problem with the vehicle within the first few miles of his purchase. This would allow the new car buyer to reject the goods. If the new car buyer discovers a defect in the car within a reasonable time to inspect the vehicle, he may reject the vehicle. This period is not defined. On the one hand, the buyer must be given a reasonable time to inspect and that reasonable time to inspect will be held as an acceptance of the vehicle. The Courts will decide this reasonable time to inspect based on the knowledge and experience of the buyer, the difficulty in discovering the defect, and the opportunity to discover the defect. What happens when the consumer has used the new car for a lengthy period of time? This is the typical lemon car case. The UCC provides that a buyer may revoke his acceptance of goods whose non-conformity substantially impairs the value of the goods to him when he has accepted the goods without discovery of a non-conformity because it was difficult to discover or if he was assured that non-conformities would be repaired. Of course, the average new car buyer does not learn of the nonconformity until hundreds of thousands of miles later. And because quality is job one, and manufacturers are competing on the basis of their warranties, the consumer always is assured that any noncomformities he does discover will be remedied. What is a noncomformity substantially impairing the value of the vehicle?